 Since 1969, Big Brothers Big Sisters of Central Minnesota has been serving the needs of children and youth by creating relationships with caring adults who befriend, guide and mentor them through the joys and struggles of becoming adults. The rewards are infinite for the child, the child's family and the Big Brother, Big Sister, Big Couple or Big Family. Would you recommend Big Brothers Big Sisters of Central Minnesota?